· Thinking About Getting a Smart Home in 2017? Read This First. Thinking About Getting a Smart Home in 2017? Read This First. The term smart home has been around for several years, but the technology today is drastically different than even just a few years ago. It's evolving incredibly rapidly. From one year to the next, new technology comes on to the scene that completely blows away previous technology. If you're thinking about getting a smart home in 2017, here's a look at some of the latest happenings. One of the latest trends in home automation is the introduction of recipes. These recipes follow a "if this, then that" format to perform a certain action (for example, turn on your porch light) every time another action happens (you pull into your driveway). Smart outlets that can simply turn a device on and off are so last year. The newest smart outlets can actually analyze your energy usage, and adapt accordingly. For example, if you have "vampire" appliances soaking up energy when they're not even in use, smart outlets can cut power completely, saving you money. In addition, these outlets are safer than traditional ones, as they can be set to turn on only when a valid plug is inserted, not a penny or fork from a wandering toddler. The smart home has been about convenience and saving money to this point. But the newest technology will focus on making individuals better. Expect to see things like smart air purifiers, motion detectors that can tell how active you are, and appliances that can track your calorie intake and make healthy food suggestions. Expect to see the home security market fully embrace smart home connectivity. If there's one area where technology is always welcome, it's security. Smart home security systems are more popular than ever. 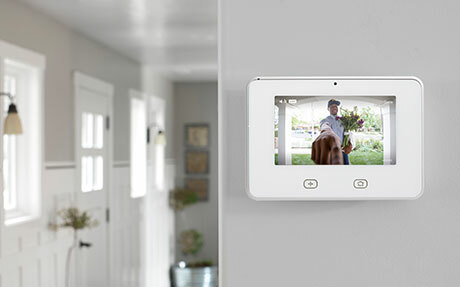 These systems can send alerts to your phone when a door is opened, let you take a peek at live video of your home, and even tell you what member of your family is coming and going. In addition, smart locks are becoming more prevalent. These locks let you open or close your deadbolt from your cell phone, no matter where you are. As technology advances, you're going to see more smart technology that lets devices "talk" to each other. Instead of having one app that controls your lights, one for your speaker system, and another for your door locks, centralized hubs are coming into play. More and more services are becoming interconnected, making home automation even easier. You're still going to see plenty of "functional" home automation, of course, but there's a pretty heavy emphasis on "lifestyle". Whatever the case, there's never been a better time to make the leap to a smart home. It's never been easier and more affordable to start!